As a man living in a hectic and highly competitive world, it’s not enough to establish proficiency in one or two aspects of life. You need to take a more holistic approach if you hope to gain that all-important edge. That’s why we’ve put together a panel of experts to give you some quick and easy tips in the fields of meditation, brain health, physical fitness, and nutrition—soul, mind, and body. By incorporating their expertise into your morning routine, you’ll be on your way to a happier, healthier, and more productive life. Our experts are: Mas Vidal, the founder and director of Dancing Shiva Yoga and Ayurveda (DSYA) in Los Angeles; Cynthia R. Green, Ph. 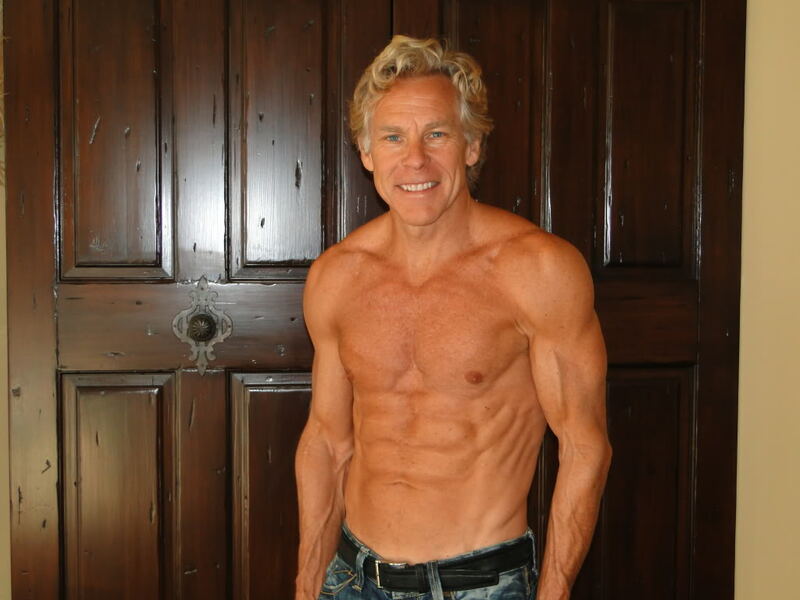 D, a leading expert in memory fitness and brain health, and the author of 30 Days to Total Brain Health; and Mark Sisson, the bestselling author of The Primal Blueprint and 21 Day Total Body Transformation and one of the most ripped 58-year-olds you’ll ever meet. Relax, lower your blood pressure and improve your concentration with these quick and easy breathing techniques. Choose a quite place, and take a seat. When you’re ready, breathe in while silently counting to seven. At the top of the inhalation, hold your breath for a count of seven. Then slowly exhale for a count of seven. Repeat the cycle for two to three minutes, increasing or decreasing the count depending on your breath capacity. According to Mas, this exercise will relax your body and mind, lower your blood pressure, and improve your concentration. Remain seated, and take a long, deep breath. Hold your breath at the top and tense your body completely for three seconds. Then open your mouth, exhale, and completely release all tension in your body. This exercise will improve your concentration and release tension and anxiety—a good way to begin the day. Boost your brain’s performance by challenging yourself to think outside the box and maintain focus. On Monday, wear your watch upside down. On Tuesday, brush your teeth with your non-dominant hand (i.e. if you’re right handed, use your left hand). Have an early conference call on Wednesday? Then doodle while listening in. On Thursday, eat your breakfast with you non-dominant hand. On Friday, tune in to a foreign radio station while getting ready for work. Whatever you do, make sure to throw your brain a little curve ball. According to Dr. Green, when we challenge our brains, we force our neurons to make new connections (and doodling helps improve the brain’s capacity for attention and memory). You can complete most of these workouts in about 20 minutes and you won’t need a gym. Using only your body weight, you can do all of your workouts at home, in your hotel, or at the nearest park. Complete two intense body weight exercises per week and one sprinting session per week, to maximize results. This is the simplest workout and you can do it in your living room. Start in the standing position, shoot down to a squatting position with your hands on the ground, thrust back into a pushup position, do a pushup, and jump back into a standing position. Repeat that 20 to 35 times, with little to no rest in between, and you have yourself a quick and effective workout. You can do this twice a week—once before work on Monday and once before work on Friday. This one’s a bit more demanding. It requires three sets of 50 pushups, 50 squats and 12 pull-ups with little to no rest in between. Sisson calls this his “hotel” workout because even if your hotel room doesn’t have a pull-up bar, you can do it in the stairwell using the top step (above your head). The most demanding of the bunch, this one requires 300 pushups, 200 squats and 100 pull-ups. Do as many as you can in each category, and then move on to the next, repeating the cycle until you’ve reached your target numbers. You can feel free to adjust the numbers according to your ability. So if you can only do 100 pushups, then do 60 to 65 squats and 30 to 35 pull-ups. You can mix it up with some lunges and burpees. And for rest, you can stand up, shake it out and pace around for up to 40 seconds. If you don’t have a park to run in, a stationary bike, elliptical, or treadmill will suffice. The concept is simple: 20 to 30 seconds of all-out sprint followed by 30 seconds of rest, repeated six to eight times. With a little warm up and cool down, it will only take about 20 minutes of your time. But if that sounds too easy, try 45 to 60 second sprints with up to two-minute rests in between. That should get your blood pumping. Do this once a week. If you’re on the go, you can make yourself a quick breakfast shake using only whey protein powder, coconut milk and almonds, or simply heat up some leftover meat from the night before. If you have a little more time, you can make an easy omelet with four whole eggs and your choice of veggie. The key is to replace grains, legumes, sugar and industrial seed oils with plenty of protein, fat, and natural fiber. Say no to cereal, sweets (including OJ), and toast, and yes to eggs, nuts, veggies, butter, and olive oil. According to Sisson, the goal is to transform you into an “efficient, fat-burning beast” and it starts with your diet.